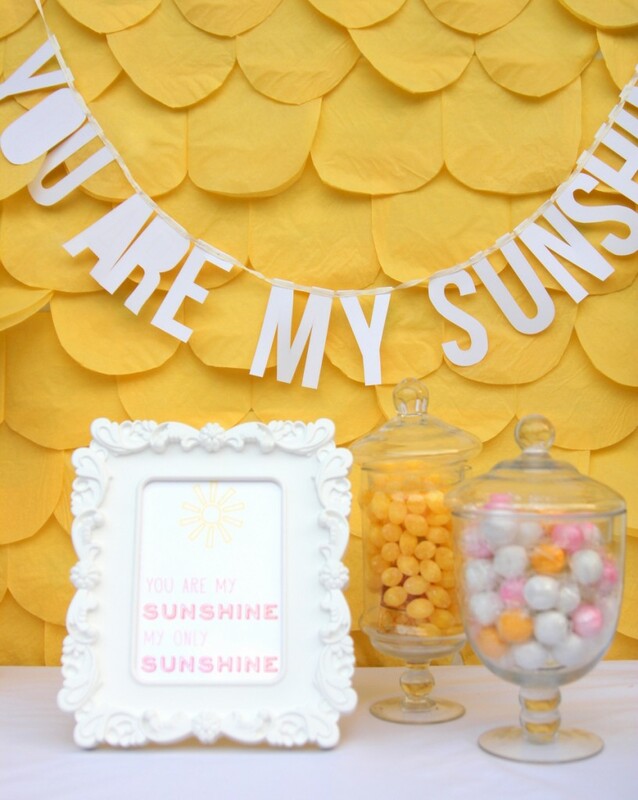 I have a friend who is putting together a You Are My Sunshine birthday party later this month, and when I was searching around for printables for that party, I realized that this sunshine baby shower from last spring didn’t ever make it onto the blog. What!?! 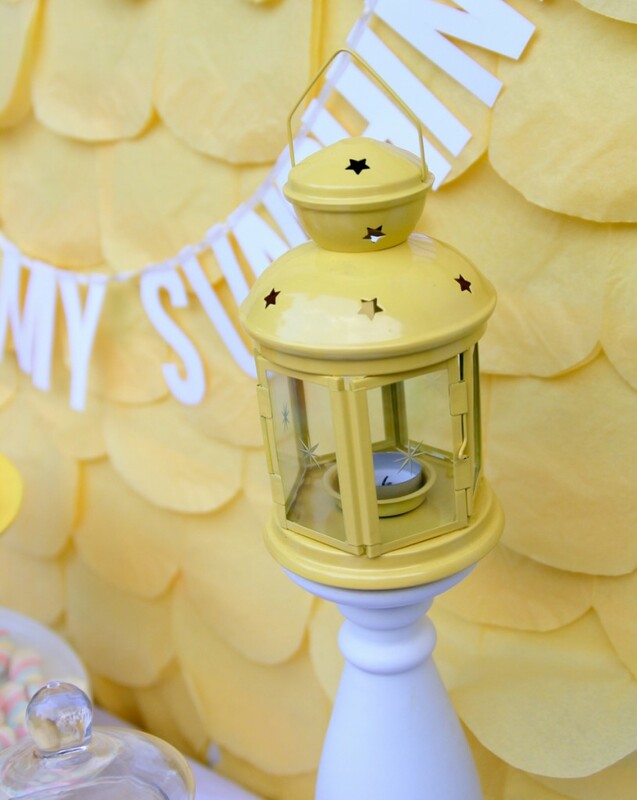 Since March is a great month for a shot of cheerful color, and since spring (aka ‘baby shower season’) is right around the corner, I figured some bright, happy baby shower ideas would be a good way to start off the month. 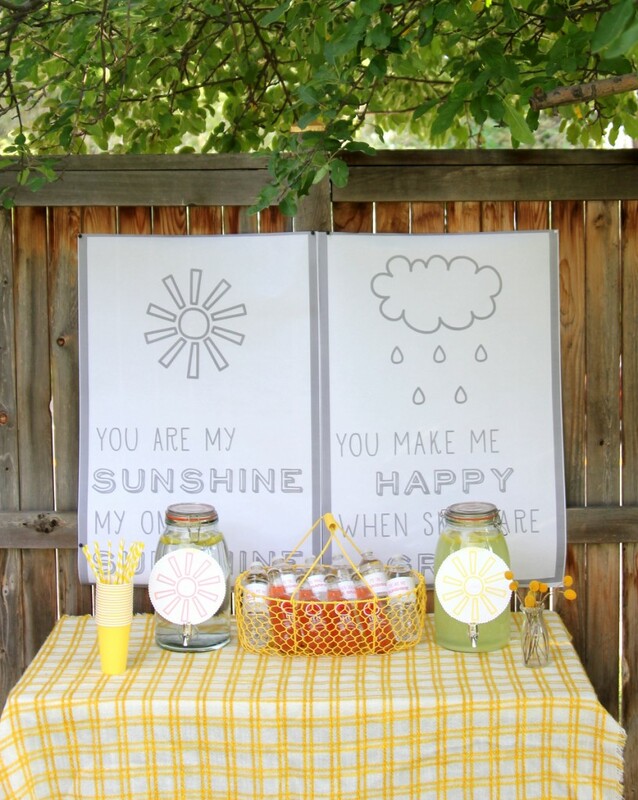 Not only is this the best baby shower theme ever (I mean, who doesn’t love the song “You Are My Sunshine”? ), this shower was so easy to put together. 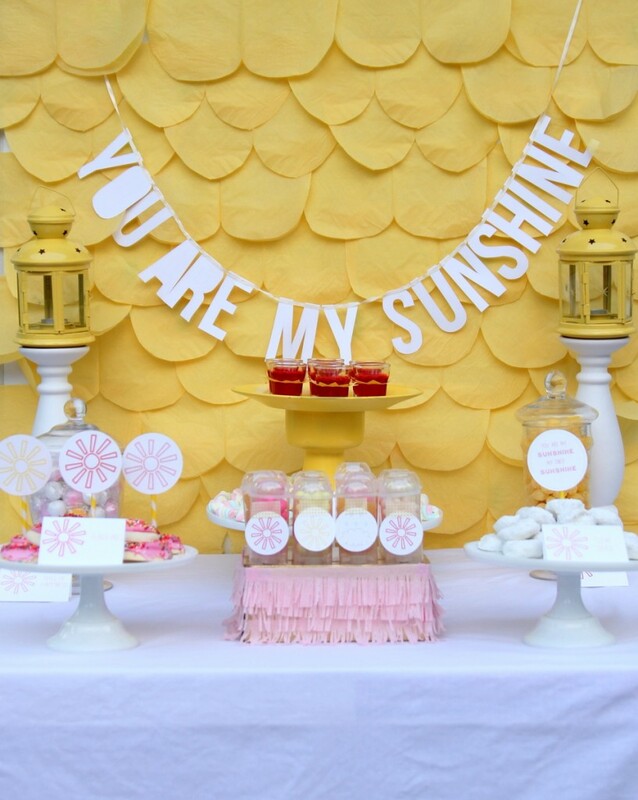 Baby Shower Idea #1- Use every day items as baby shower decorations. 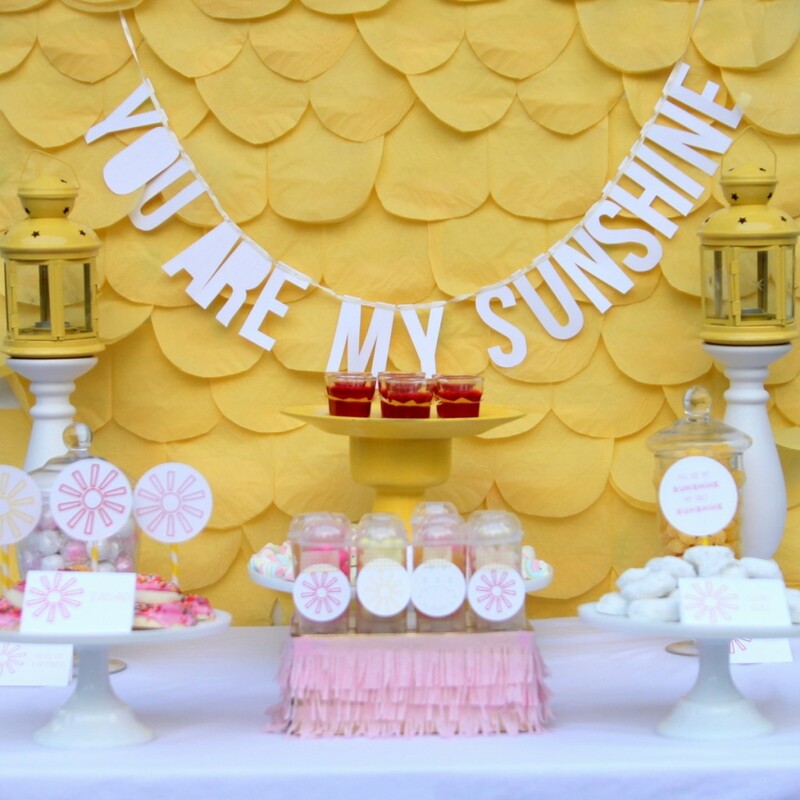 This seems so obvious, but the cheerful color palette of pink and yellow made finding baby shower decorations as easy as can be. 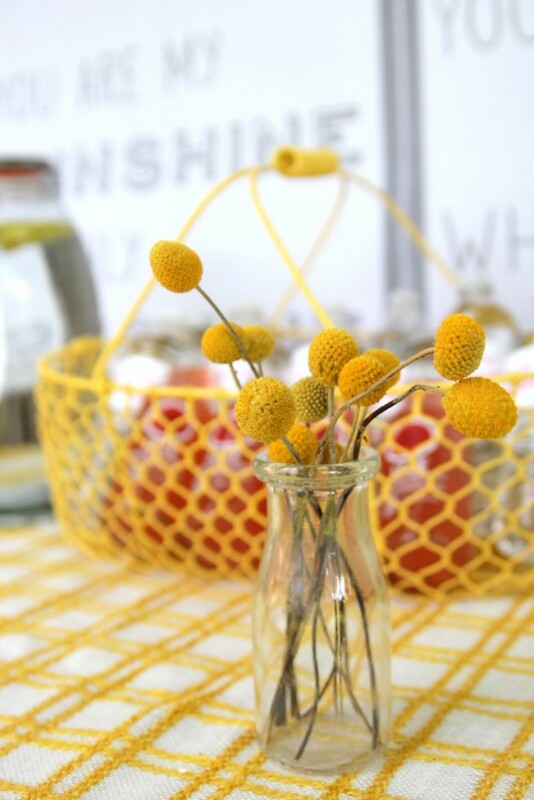 After gathering yellow items from our homes, we had quite the pile of decor- yellow plaid tablecloths, a yellow wire basket, yellow lanterns, some yellow billy buttons. Paired with some white staples like frames and candle pillars, we decorated for the whole shower without spending any money on decor. 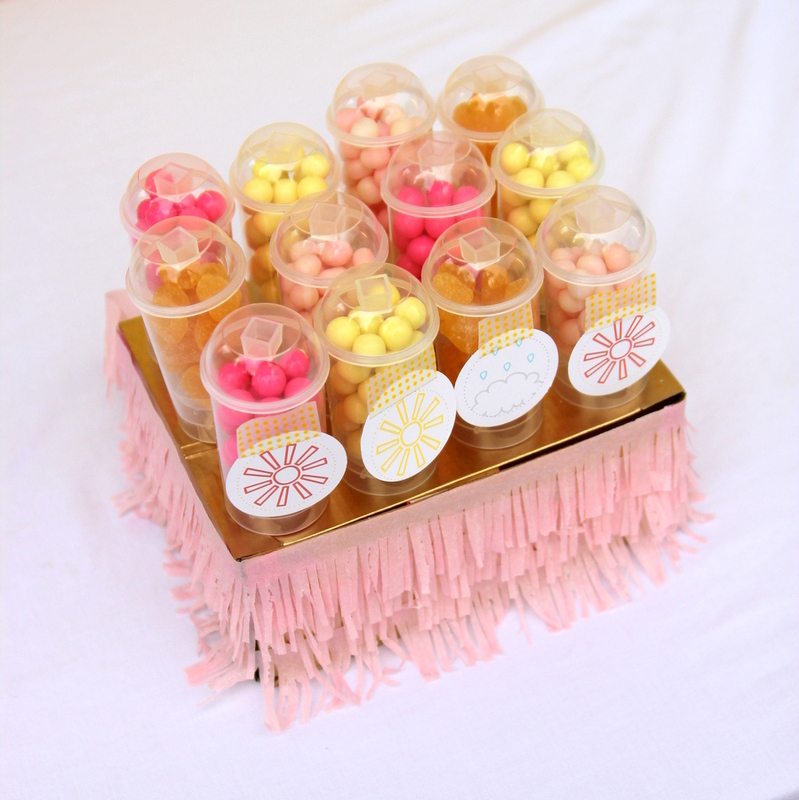 Baby Shower Idea #2- Spend your effort on one really great statement piece. 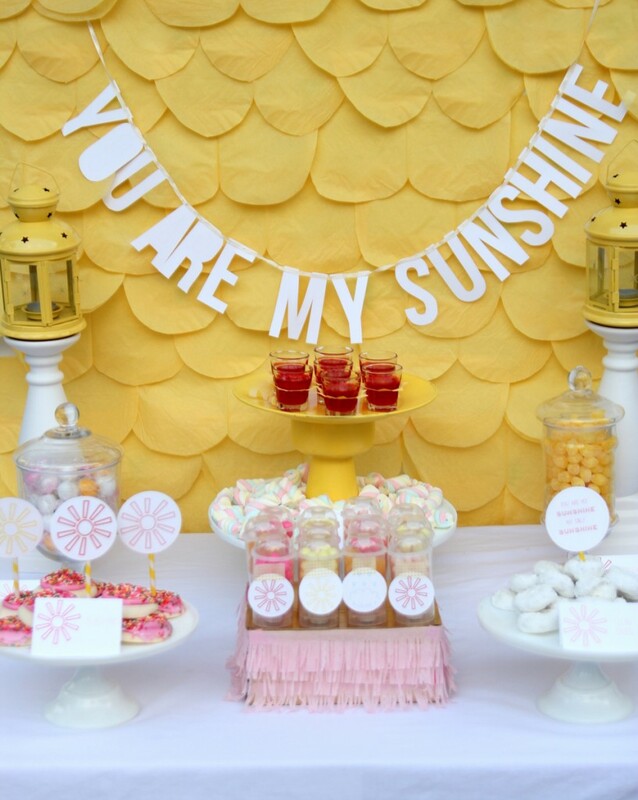 That fabulous yellow scalloped backdrop with the “You Are My Sunshine” garland was really the extent of my DIY efforts for this shower, but that effort was totally worth it for this dessert table gorgeousness. Instead of spreading out your effort between twenty smaller projects, focus on one big statement piece instead for a greater return on investment of time and effort. 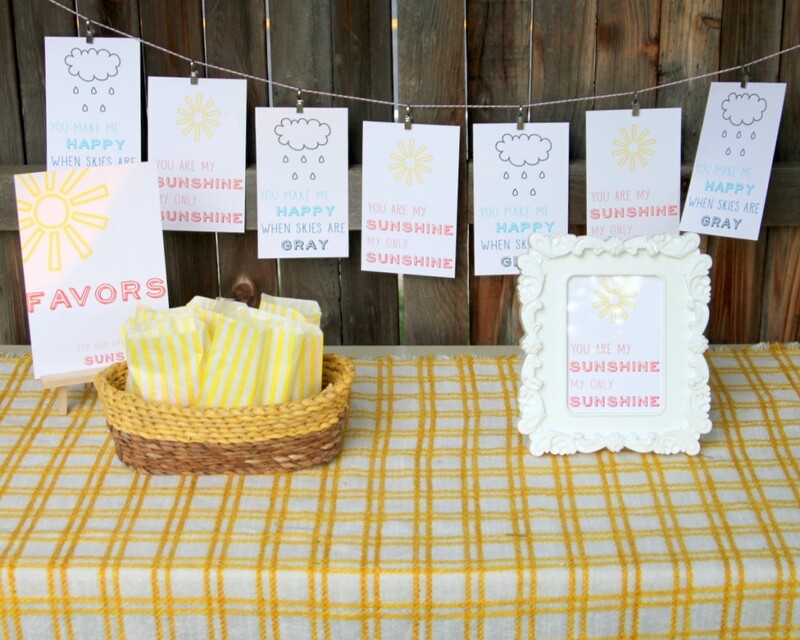 Baby Shower Idea #3- Utilize engineer prints. I love engineer prints, love them. They are the best $3 you can spend on a baby shower. In fact, for a baby shower like this one that is based on a song, they are the perfect (inexpensive) way to showcase those song lyrics! 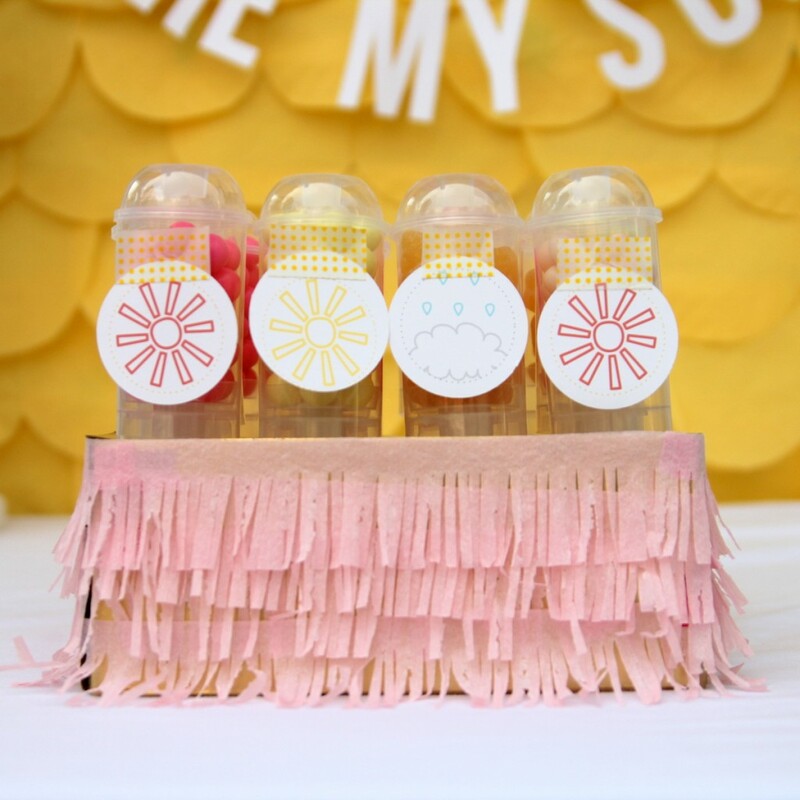 Baby Shower Idea #4- Choose awesome shower favors. And by awesome I don’t mean expensive, or over-the-top (though, I am the first to admit that favors are my weakness), or even tons of work. 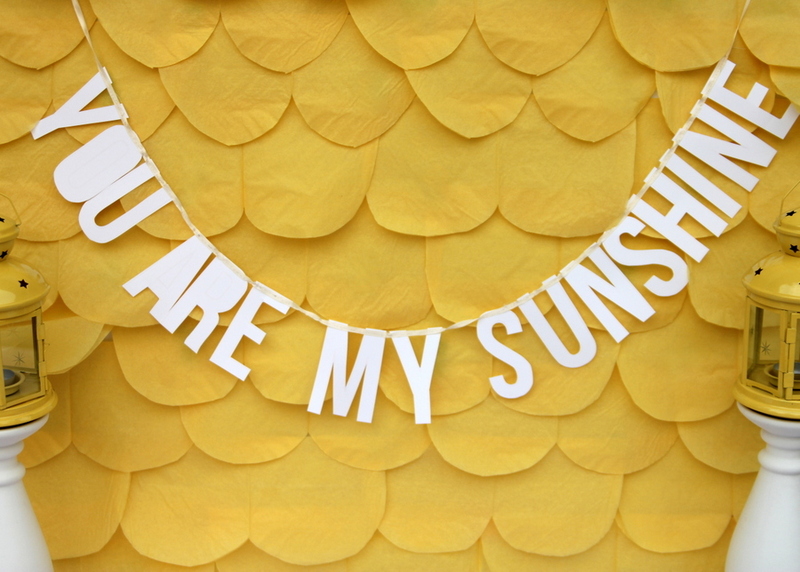 The “You Are My Sunshine” favor prints for this shower were a huge hit, and so easy to put together. 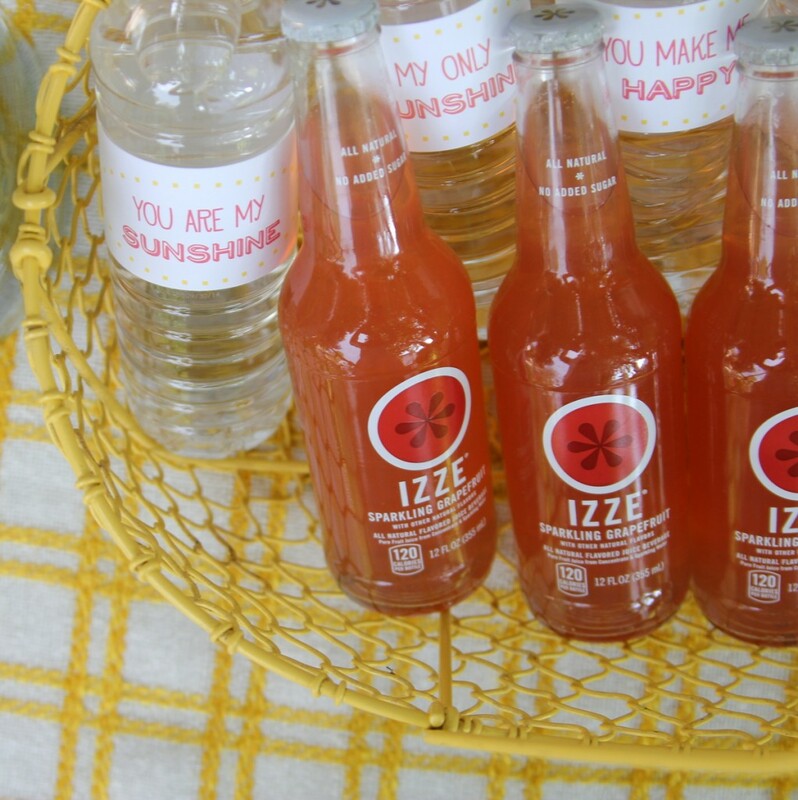 Baby Shower Idea #5- Keep things simple. For this shower, the decor was made up of items pulled from our home decor, that stunner of a scalloped dessert table backdrop was made out of yellow paper napkins (tutorial to come), the treats and drinks were almost all store bought, the favors were super simple (and inexpensive) and the shower was fabulous! There’s something to just keeping things simple (or, in our case, throwing together a shower in just a few days, but whatever works!). Happy spring baby shower planning, friends!